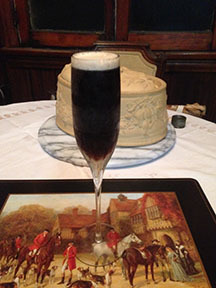 Pour Guinness into chilled champagne flute. on top of the Guinness. This recipe contains alcohol. Remember to drink responsibly.